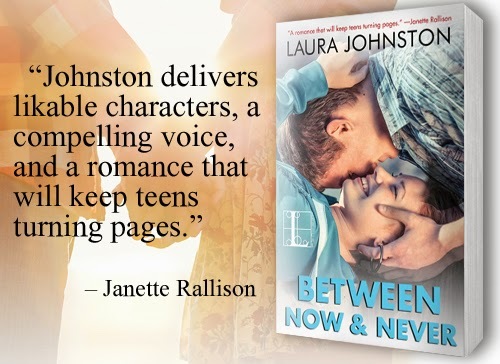 RELEASE DAY FOR - BETWEEN NOW & NEVER BY LAURA JOHNSTON - YAY!!!! 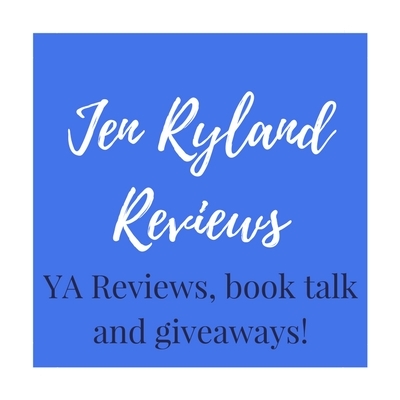 I am so excited to be part of this RELEASE DAY Post. 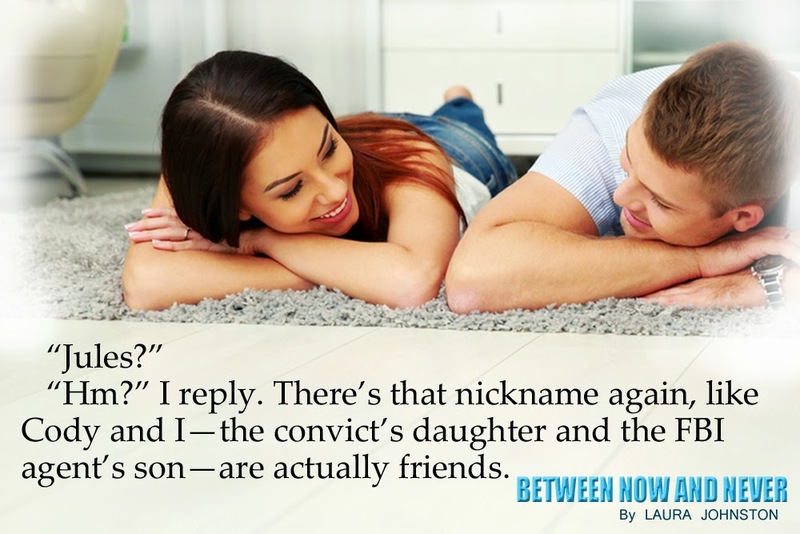 Laura is a fantastic author, and this book was so, so good. My review can be found here, but you should go buy a copy for yourself, so you can enjoy it in full. Thirteen-year-old Jonah has always known that he was adopted, and he's never thought it was any big deal. Then he and a new friend, Chip, who's also adopted, begin receiving mysterious letters. The first one says, "You are one of the missing." The second one says, "Beware! They're coming back to get you." 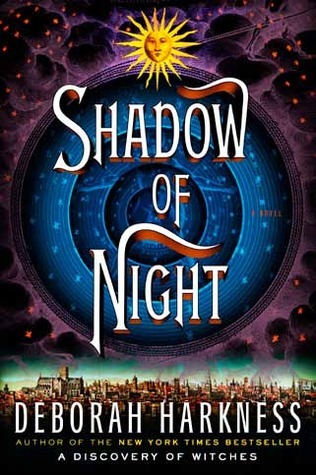 With Found, Margaret Peterson Haddix begins a new series that promises to be every bit as suspenseful as her Shadow Children series -- which has sold more than 41/2 million copies -- and proves her, once again, to be a master of the page-turner. My son and I have been reading this book together for some time. He doesn't usually like for me to read too much to him at once, but today he wanted to finish the book with me. It was so much fun. I love it when I find a book that my son will read with me. He is 10 and hates, hates, hates reading. He has Dyslexia, so reading for him is not very much fun. He does however like to be read to. Most of the time. I love him. I love that he will let me read with him. This was such a fun book to read together. It is exciting and mysterious. The characters are so great. They are young enough that my son can kind of relate to them. The idea behind the book is absolutely fascinating. I cannot imagine finding out that I was from the past. That I was most likely royalty from the past. Time warps. Time travel. Mysterious people popping in and out of time. The FBI. There was so much adventure. Especially for teenagers :). This is a great book for young kids and middle grade, and hey lets face it adults also. I loved it :). Jonah, Chip, and Katherine were a fun trio to follow. I love Katherine's snarky personality. She was not going to let the boys get away with doing anything without her. I love that Jonah and Chip take it upon themselves to solve the mystery behind their adoptions. The journey we take with them, is exciting, and mysterious. I am glad I got to go on this adventure with them. I am anxious to see where the next book takes us. 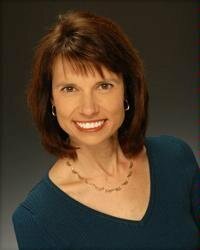 She has since written more than 25 books for kids and teens, including Running Out of Time; Don’t You Dare Read This, Mrs. Dunphrey; Leaving Fishers; Just Ella; Turnabout; Takeoffs and Landings; The Girl with 500 Middle Names; Because of Anya; Escape from Memory; Say What? ; The House on the Gulf; Double Identity;Dexter the Tough; Uprising; Palace of Mirrors; Claim to Fame; the Shadow Children series; and the Missingseries. She also wrote Into the Gauntlet, the tenth book in the 39 Clues series. Her books have been honored with New York Times bestseller status, the International Reading Association’s Children’s Book Award; American Library Association Best Book and Quick Pick for Reluctant Young Adult Readers notations; and more than a dozen state reader’s choice awards. Haddix and her husband, Doug, now live in Columbus, Ohio, with their two children. for this awesome challenge. It was so much fun. 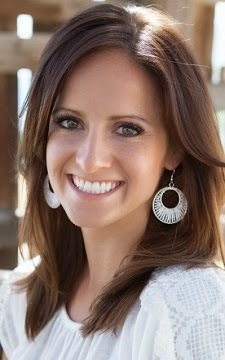 I you don't follow her blog you should because she is awesome!!!! I cannot even begin to say fabulous this conclusion was. I am always so scared when I read a series, that the end won't be what I "expected" it to be and will ruin the whole series for me. I am soooo happy that didn't happen in this book! It was just as fabulous as the rest of the series. There was so much more discovery, action, and passion in this book. Juliette is woman hear here roar. That is all I could think in this book. She finally found herself and became comfortable enough with who she was, that she was able to earn the respect she so desperately wanted, needed, and most definitely deserved. Kenji, Oh, Kenji. I love him. I am saddened that she and Juliette didn't end up together, but I like how it ended so it's all good. He just was one of my favorite characters throughout the whole book. He had a foul mouth, but he was quick, and witty, and just plain funny. He was such a great character. Hands down my favorite. I know it's not suppose to be that way, but he was. He was the most entertaining to read :). He made me laugh through the whole book. Warner....Well, I love him. I really didn't know what to think of him in the other books, but he really came to life in this book. He is such a beautifully, damaged man. Yet, he finds away to connect with Juliette and the others, and his true character comes out in this final battle. The excitement throughout this book was awesome. It was so hard to put down, because there was always something happening. Such a great series. I loved every minute of it. It was exciting, and had romance to boot. There is always time for love :). Especially when two volatile people collide and make something wonderful. So good. I could go on and on and on, but I know I have already given some stuff away. LOVED. IT! Source: I bought this series for my self. I was not compensated in any way for this review. These are my own PERSONAL thoughts on the book. As Omega Point prepares to launch an all-out assault on The Reestablishment soldiers stationed in Sector 45, Adam's focus couldn't be further from the upcoming battle. He's reeling from his breakup with Juliette, scared for his best friend's life, and as concerned as ever for his brother Jame's safety. And just as Adam begins to wonder if this life is really for him, the alarms sound. It's time for war. I knew I loved Adam from the very beginning. This little novella proves to me why I love him so much. In the midst of all that is happening he is face with the reality that he may loose his brother. I do not fault Adam for any of his feelings. He has been through the ringer. When he finally questions his loyalty to Juliette, I have to admit I am a little relieved. Juliette is kind of playing with his emotions, and I don't like it when girls do that. Like ever. In books or in life. I do love that Juliette has realized how much she cares for Kenji. I love his snarky personality. He is also one of my favorites. I am hoping. Like really hoping (I know it's not going to happen, but I am hoping) that Juliette ends up with Kenji. I like him far better than both Warner and Adam. Maybe because he is so snarky. I like snarky :). This was an exciting novella. 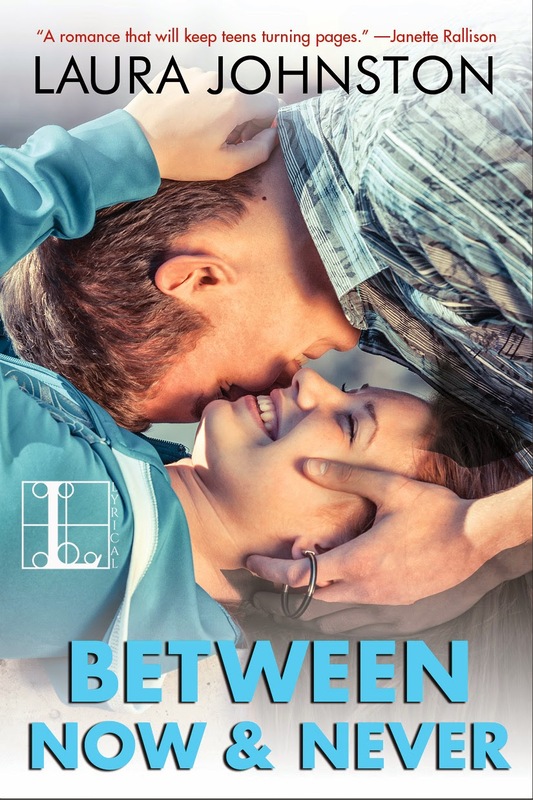 I have said this before novellas are not my favorite, but I really did enjoy reading both of them for this series. It's nice to get behind the other characters. I cannot even tell you how much I am loving this series. Each book gets better and better. Including the Novellas, and I am not a novella fan. This book was so exciting. Everyone is learning more about themselves, and how to harness their energy. It's awesome. Warner might be human. Might. I still have not decided for sure, but he showed some heart in this book. He almost made me like him, and then right after, he does something stupid to make me wonder again. He is one messed up dude. I know it is because of how he was raised, but dang. Messed up. His father Anderson, is a piece of work. Serious piece of work. Then BAM......Plot twist. Brothers. Really. UGH! Sorry if you are reading and didn't know this. I told you I might spoil something. I cannot believe Warner and Adam are brothers. Seriously. Both raised by that crazy, horrible man Anderson. I don't know if I want Warner to ever know. Maybe he will make different choices. Maybe not. I don't want to know. I don't want to see Warner be any more inhumane than he already is. I don't want Adam to fall into some kind of sick feeling of loyalty towards a brother he never knew he had, who is not a nice person. Juliette. This poor girl cannot catch a break. My heart aches for her...Sometimes. In this book her wishy washy, love triangle is annoying. I hate love triangles. Hate them. Having said that, the book is still so super fantastic, I can't help it. Her abilities are growing every day, and she is becoming more confident. Thank heavens. I want her to be a force to be reckoned with! The action was awesome. 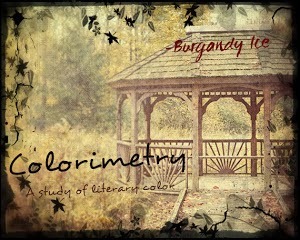 I cannot wait to read the next novella, and the next book. I hope it continues to get better :). Such a great series! I am in love with Mafi's writing :)! I have been listening to this series for a while. I usually have more time to listen but this whole month has been a little out of whack. I love this story. LOVE IT. This book was just as good as the first book, and maybe even a little better. There is so much more going on. Diana is becoming more familiar with her abilities. I love the fact that they are traveling in the past. Could you imagine what it would be like to talk to people like Einstein and Shakespeare. Seeing things in the process of being invented. I would love every minute of it. Every minute. Matthew is so fabulous. I laugh at the way Diana and Matthew talk to each other. I love that Matthew thinks he has some kind of control over Diana, and I love even more that Diana never really lets him tell her what to do. It's so fun to read...So fun. There are so many things working against Diana and Matthew, yet they persevere. There are so many fantastic characters in these books. I love all the action, and mystery in these books. I cannot wait to finish the series. I want all things to work out for Matthew and Diana. There are so many things going on and they are bound to come to a head soon, and I cannot wait for it. This is such a fantastic series. 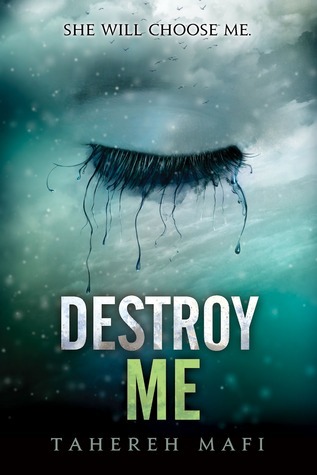 Set after Shatter Me and before its forthcoming sequel, Unravel Me,Destroy Me is a novella told from the perspective of Warner, the ruthless leader of Sector 45. Ugh, what to think now? Warner. Is still don't think I like him, but now I don't know if he's ALL bad or not. We meet Warner's father the leader of the Reestablishment and dang, he is the devil. I love reading from the bad guys point of view. I know, kind of twisted, but I love reading about how and why they became the way they are. There is always something behind their behaviors. Well, with Warner's father in the picture we learn a lot about why Warner is the way he is. That is all I am going to say because I probably already gave something away. Oops, if I did ;). Source: I bought this series for my self. I have not been compensated in any way for my review. These are my own PERSONAL thoughts on the book. Okay, I have been wanting to read this series for a long time, and finally got the opportunity. 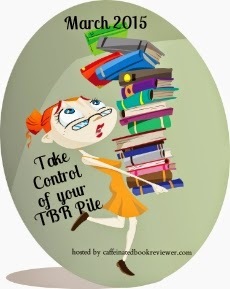 I devoted a whole month to only reading book on my TBR pile. Unfortunately other things happened this month that have made it impossible to read. Now, I am now on my third book (I think) and it has been so much fun. I love reading my review books, but I really, really love reading my TBR pile :). This book was so good. I love reading about people with "powers". I always think "what would I do with those powers". I don't think I would like Juliette's power though. I love to be able to hug my kids, and my husband. Not being able to touch anyone would be horrible. Juliette has been locked away for 264 days with no contact with anyone until a random night when a boy ends up in her cell/room. Adam. What to say about Adam. I loved him. Loved him. I didn't know if I would at the beginning, but as the book went on he grew on me. 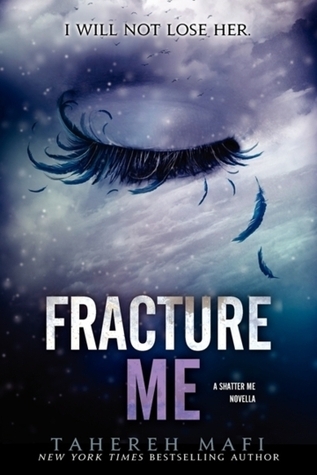 Juliette is taken to a man who wants to use her for her abilities. Warner. What do I have to say about Warner. Well he is not my favorite person. He is a wonderful bad guy though. He is definitely one of those characters I love to hate. He wants to use Juliette's power to defeat his enemies. Adam and Juliette have different plans. Really, the story is so great. I love the world building, and characters. I really felt like I was in the book with Juliette. 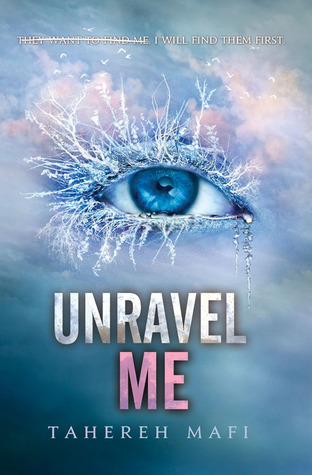 The way Juliette describes her world, made me feel the pain she was going through with her. The writing is just beautiful. 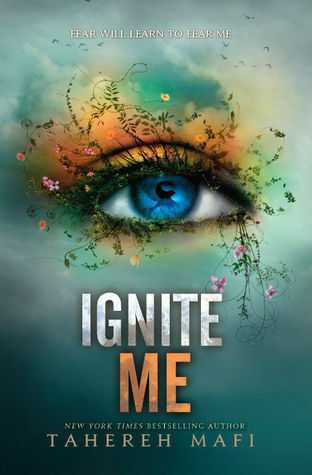 I cannot wait to read the next book. Although I am doing the novella because I am reading them in order (or order according to Goodreads.). I really am so excited to find out if Juliette and Adam join the fight against Warner and his people. Source: I bought this book for my self. I was not compensated in any way for this review. These are my own PERSONAL thoughts on the book.